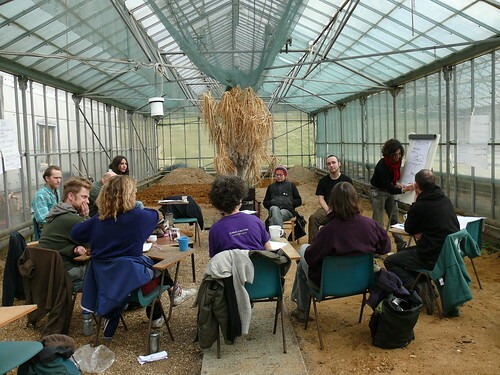 Organiclea is a workers’ co-operative. This is a form of business organisation where the activities are managed by the workers directly, without the need for separate managers, owners, or bosses. Organiclea is a not-for-profit enterprise: if there is any surplus it is reinvested within Organiclea, or in support of other co-ops or not-for-profit organisations with similar aims. We want to see a world based on equality and co-operation, where people can take control over all aspects of their lives. Taking collective control over our own work is a starting point… we aim to reduce reliance on exploitative structures and build a secure base from which to challenge injustice and encourage others to do so. 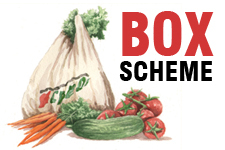 Our aim is to create livelihoods for co-operative members through local food growing, distribution and community work. Currently, most of the members earn a modest part-time income. These workers are also committed volunteers and agree to certain obligations as paid workers of the co-op. There is a procedure of application for volunteers wishing to become a member of the co-op.